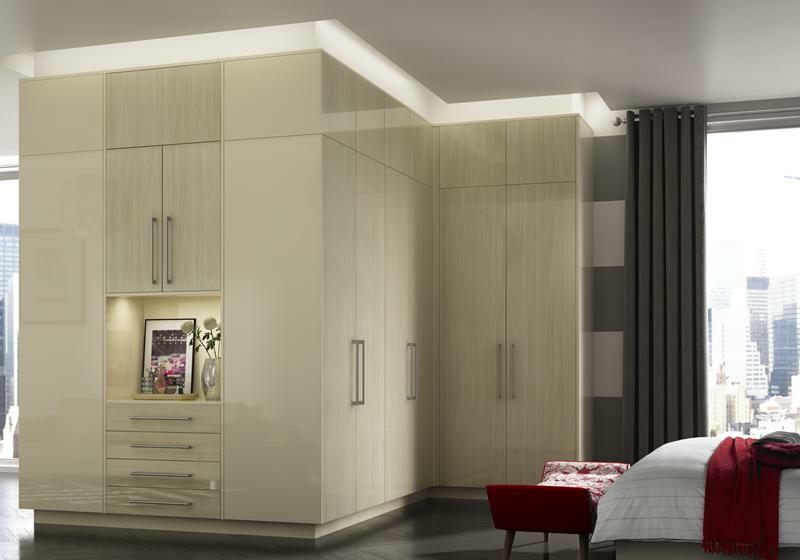 Built in wardrobes are the perfect solution for any bedroom, for today’s smaller bedroom they are a must. Bedrooms these days aren’t just a place for sleep they often need to be a personal space, chill out room and study area too. Newer properties especially tend to have smaller bedrooms so the stress involved in making these rooms ‘work’ is even tougher. Built in wardrobes and bespoke furniture, designed especially for each room is often the best option to meet all the needs of a modern bedroom. In newer properties architects design rooms specifically with a view to them being fitted with built in wardrobes so anything else is often a very costly compromise. At Arley Cabinets of Wigan we understand the way an architect has designed a room layout, we can also offer the best and most innovative solutions to utilising the space effectively. From traditional built in wardrobes to a complete bedroom solutions, integrating great design solutions such as under bed storage, Murphy beds and even sliding shelving systems – we can do it all. As Arley Cabinets of Wigan are manufacturers of bedroom furniture we design and build every piece of your bed room furniture to the exact specifications of your room. With a team of expert craftsmen and fitters every element of your bedroom furniture, from built in wardrobes to desks and drawers are built with a high attention to detail and a level of craftsmanship that is second to none. So if you have a small bedroom that needs an innovative solution or a big bedroom that would benefit from bespoke built in wardrobes we can help.